Answer the following question correctly and you will be entered into a random drawing to win the tickets. Megan Cavanagh’s most famous role is Marla Hooch in “A League of Their Own”. What was Marla’s position on the Rockford Peaches? Send your answer in an email by Monday, February 2nd @ 12:00 PM with your NAME & LOCATION to therogersrevue@gmail.com – SUBJECT: MENOPA– — USE 2015 for your chance to win the pair of tickets in our random drawing! Menopause The Musical is a groundbreaking celebration of women who are on the brink of, in the middle of, or have survived “The Change.” Now celebrating 13 years of female empowerment through hilarious musical comedy, Menopause The Musical has evolved as a “grassroots” movement of women who deal with life adjustments after 40 by embracing each other and the road ahead. 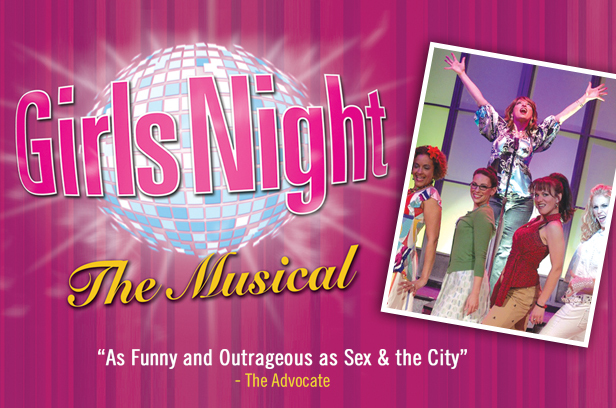 Inspired by a hot flash and a bottle of wine, Menopause The Musical is a celebration of women who find themselves at any stage of “The Change.” The laughter-filled 90-minute production gets audience members out of their seats and singing along to parodies from classic pop songs of the ‘60s, ‘70s and ‘80s. Tickets are on sale now for performances on Wednesday, February 4 at 8 p.m. and Thursday, February 5 at 8 p.m. and are available at the Hylton Performing Arts Center box office, hyltoncenter.org, or by calling 703-993-7759. Groups of 8 or more can save $10 when mentioning the code GROUP, available through the box office only. RULES: Each household is only eligible to win a family four pack of tickets to Menopause the Musical at the Hylton Performing Arts Center, Wednesday February 4th at 8:00pm. Only one entrant per email address per giveaway. If you have won the same prize on another blog and if you want another TRR prize within the last 30 days, you are not be eligible to participate in the giveaway. Entries must be received by Monday, February 2nd at 12:00pm. Any entry after the time stated, will not be qualified. Winner must be available for the OPENING NIGHT in order to claim the tickets. Tickets are not transferrable to any other dates Winner is subject to eligibility verification. Immediate family members of Hylton Performing Arts Center and The Rogers Revue are ineligible to enter the giveaway. Giveaway open to the residents of District of Columbia, Maryland & Virginia.